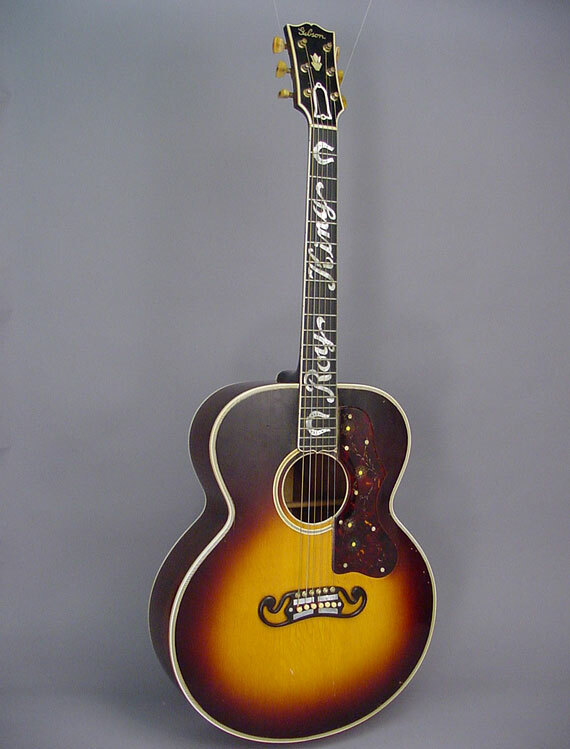 Even viewed from the back row at the Opry, this guitar would have been a standout on stage. 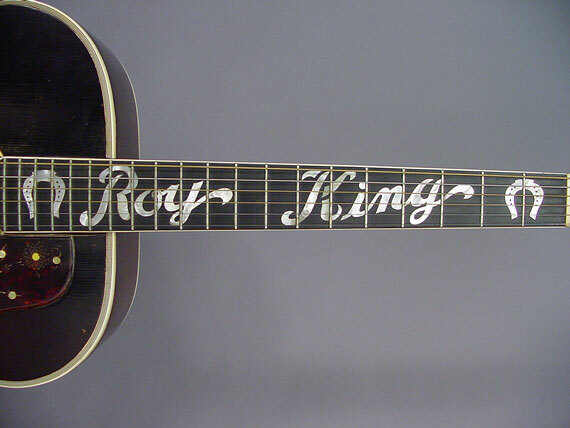 I'll bet ol' Roy looked mighty fine when he stepped up to the microphone. 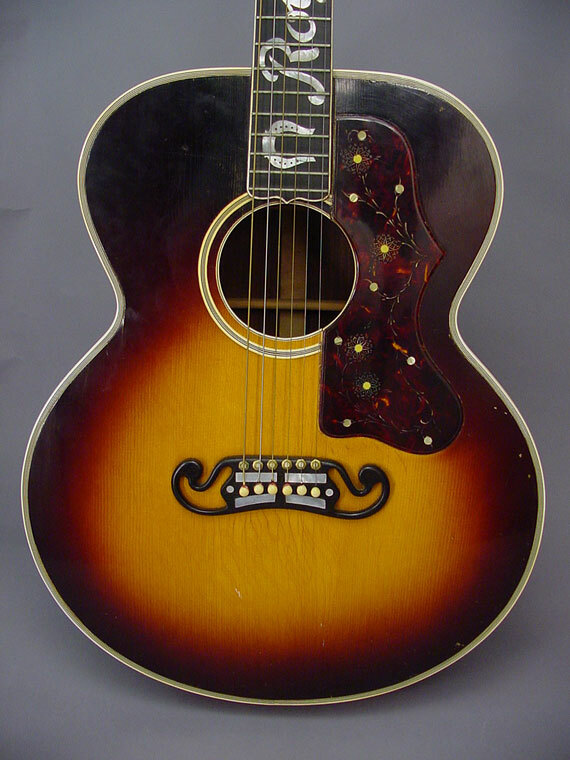 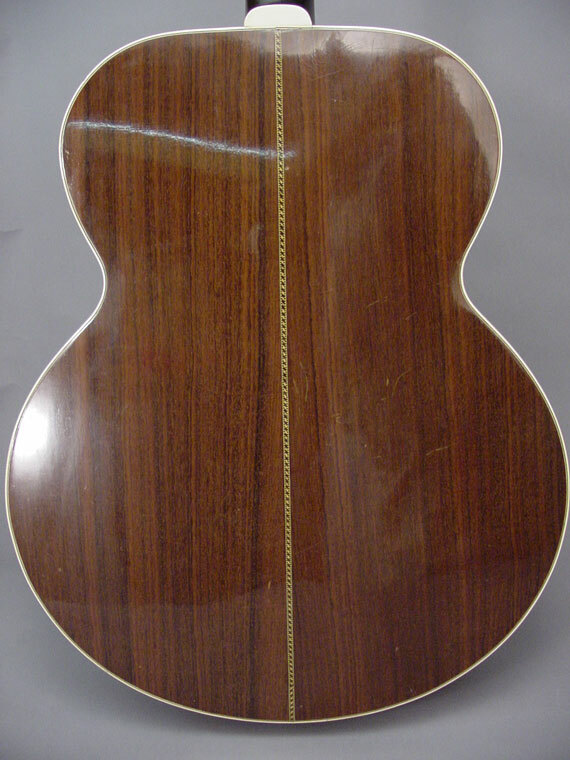 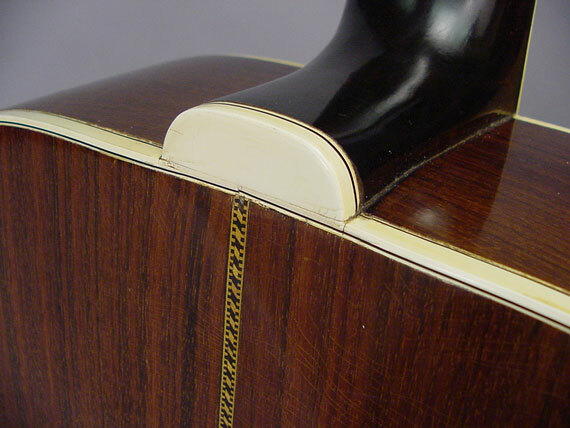 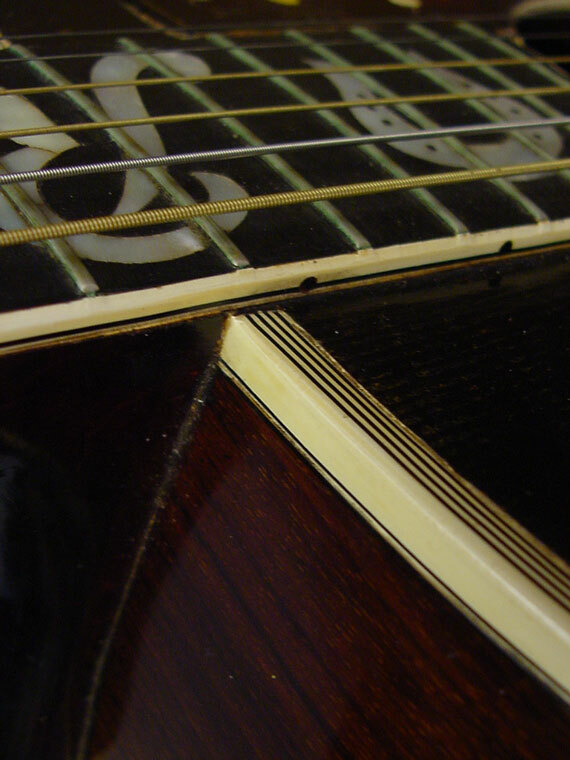 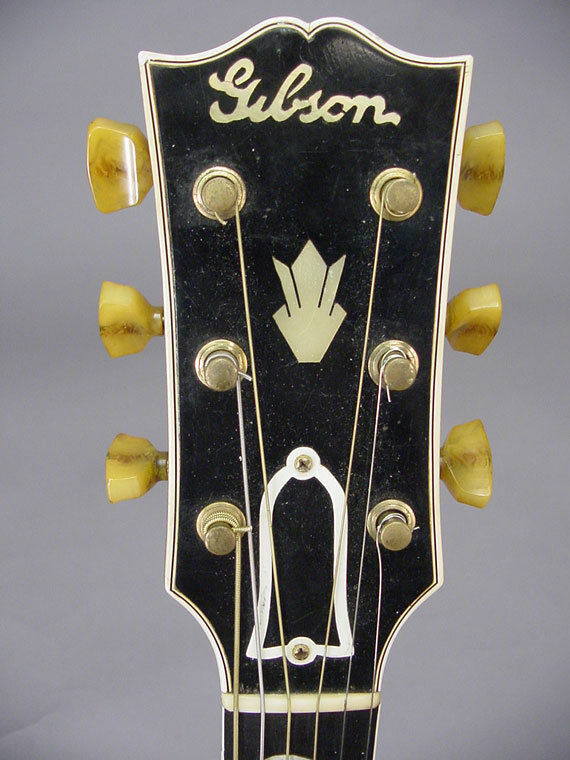 Roy bought this guitar new in late 1939 and immediately sent it back to Gibson for the personalized fingerboard inlay. 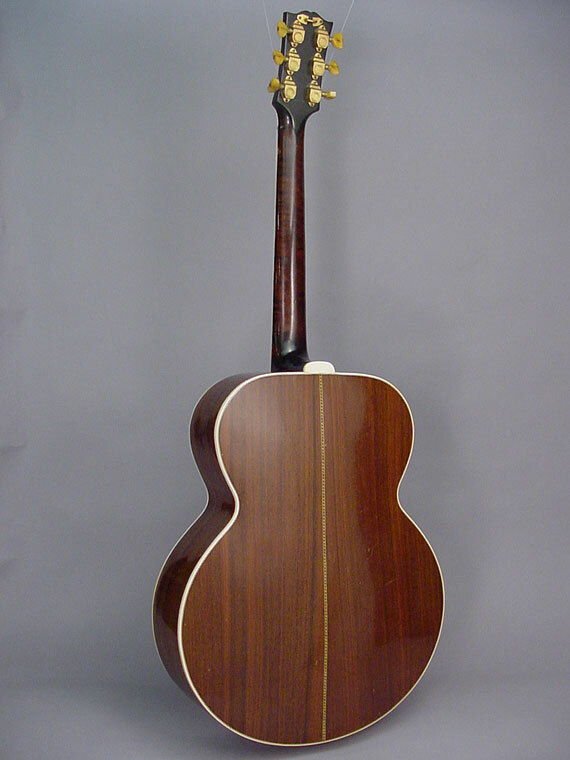 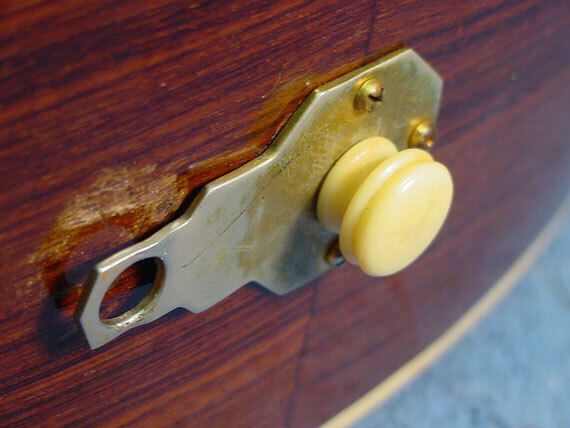 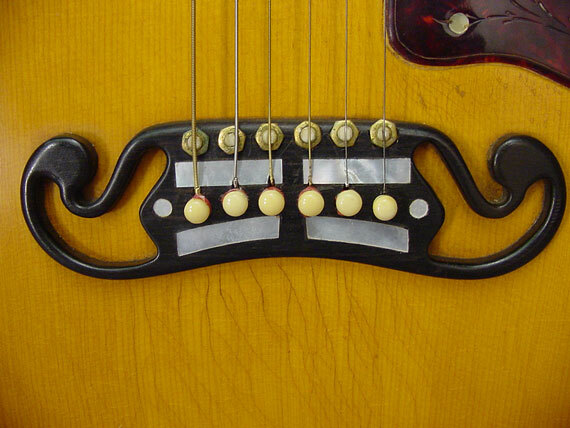 Some interesting original stuff here, from the giant 17-inch rosewood body with all its decor, to the Kluson "Sealfast" enclosed tuners and the screw adjustable saddle pieces. 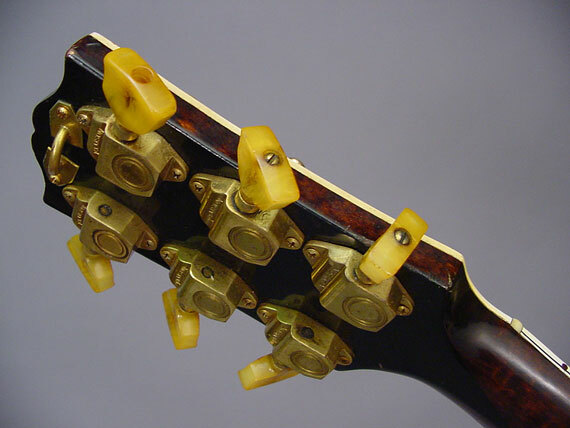 Notice the original equipment strap holders on the peghead and end block.